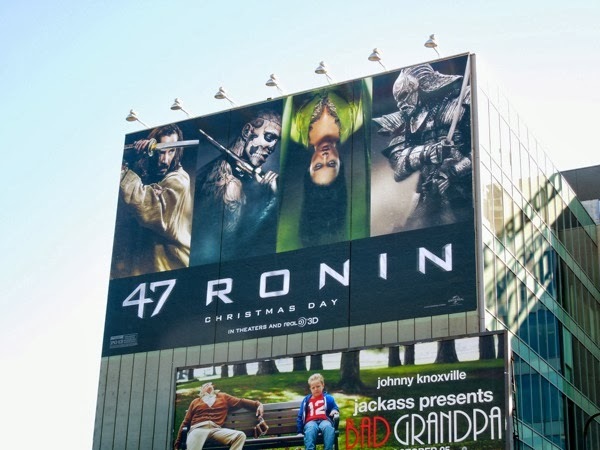 This Christmas can Keanu Reeves rediscover his Kung Fu mojo from The Matrix in his new fantasy martial arts movie, 47 Ronin. 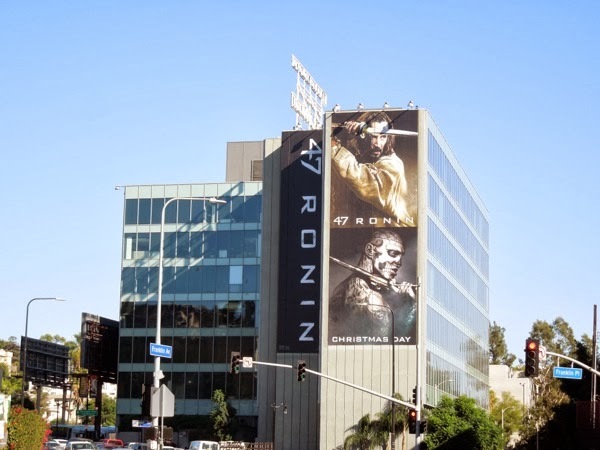 After a ruthless warlord kills their master and banishes their kind, 47 leaderless samurai seek out the exiled 'Kai' (played by Keanu Reeves) to exact revenge, help liberate their land and restore honour to their people. 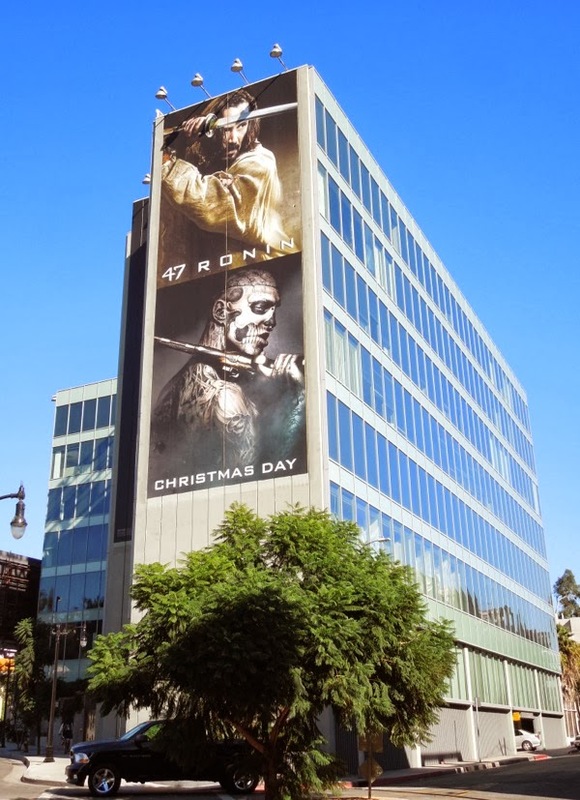 In this new action-adventure movie the band of Ronin must fight their way through a fantastical world of deadly witchcraft and savage mythical beasts in 18th century Japan. 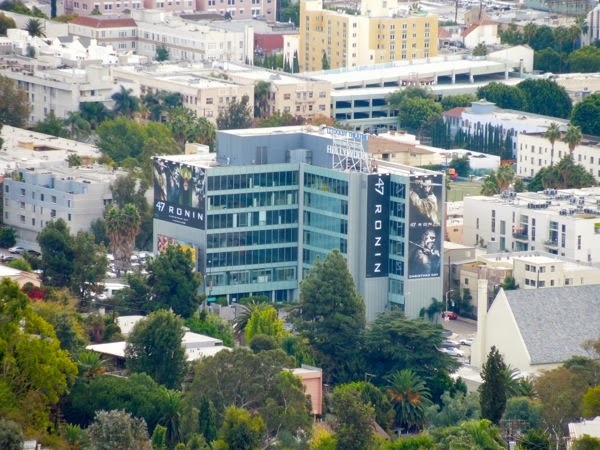 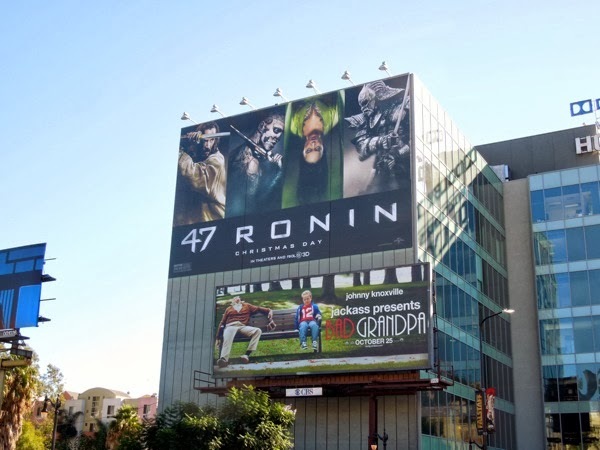 These giant billboards for 47 Ronin were snapped at the busy intersection of Highland and Franklin Avenues in Hollywood on November 14, 2013. 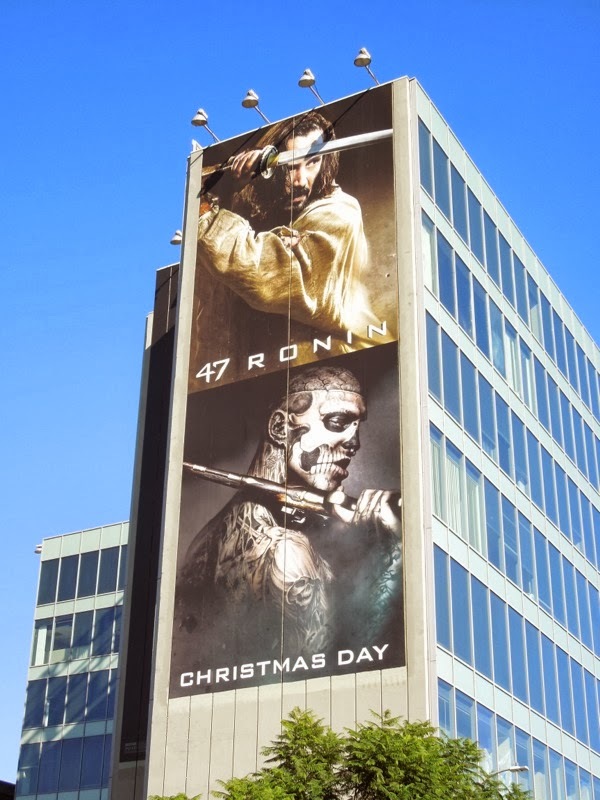 This movie sounds like the perfect antidote to the Holidays if by Christmas Day you've had it up to your eyeballs with tinsel, festive tunes, unwanted gifts and obnoxious relatives overstaying their welcome.